Siracusa has always been a city near and dear to my heart since traveling with my family there as a youngster. It’s a city (like all of Sicily) that I am determined to visit once a day even if it just for a passeggiata to see the duomo or down the Lungomare d’Ortigia. This is a magical place. There is so much history here in that it was one of the most important cities during ancient Greece, but there is plenty of history related to wine here as well. Let’s take Moscato Bianco for example. 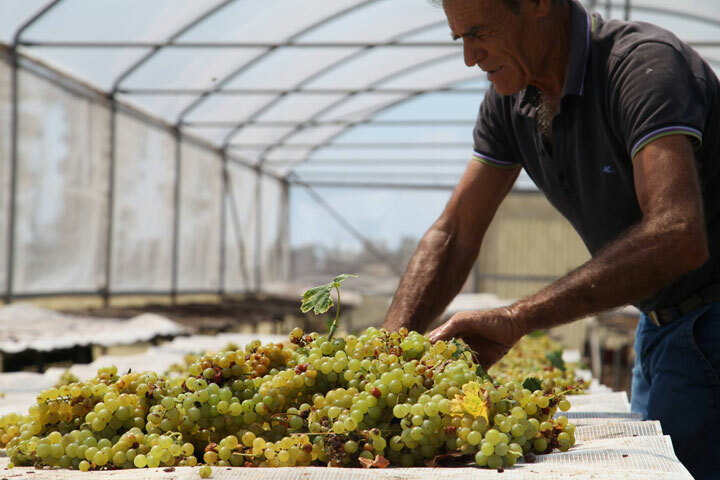 Moscato Bianco (one of the oldest cultivars in world and different from Moscato d’Alessandria that produces Moscato d’Asti) is a grape that was brought over by the Greeks and in Siracusa. Moscato di Siracusa became their most famous wine most likely thanks to Pollis, who ruled Siracusa during the 7th century B.C.. It was also mentioned by Pliny the Elder and through time by cartographer Albert Jouvin an Italian writer Giovanni Verga in 1800s. The grapes were traditionally dried like many of the great wines produced during Ancient Greece and Rome. This brings us to more present day when Moscato was wiped out by phylloxera in the early 1900s and this famous wine risked being wiped out completely. In order to avoid that, the Italian began offering local farmers free land if they agreed to re-planting Moscato in the early part of the century. 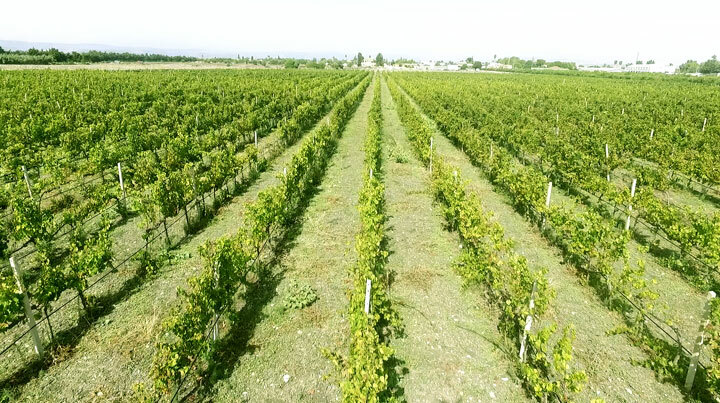 Eventually Moscato was replanted in most of its original production zone just outside of Siracusa and it received DOC status in 1973. The style is still with dried grapes and varying degrees of sweet wines are made with these grapes. This is where Cantine Gulino comes into play. Gulino produces one of the best Moscato’s I have ever tasted but it is with their production of the extremely rare Albanello grape where we crossed paths and have begun working together. 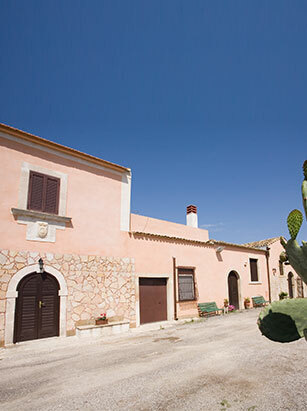 Cantine Gulino was founded in 1793 where the family indeed planted Moscato di Siracusa and Nero D’Avola. The winery’s holding were themselves wiped out by phylloxera and replanted in the early 1900’s. In the 1950’s the family began a switch to growing fruits and vegetables and only in the late 1990s were their vineyards replanted by the current generation of owners. When farmers locally were being paid to replant Moscato, Albanello began disappearing. At that time Albanello was grown in the province of Catania and Siracusa (which makes up most of Sicily’s east coast). Little by little however this varietal was pushed out in favor of Moscato. Fast forward to the late 80s where Sebastiano Gulino began his wild goose chase to rediscover Albanello. Gulino was literally visiting libraries of the local villages to find out what the Albanello grape looked like according to old Latin texts. We’ve asked him which libraries, but he will not disclose his secrets! From there he was able to determine that Albanello leave’s had four “fingers” which was a point of contention as the grape had been mistakenly identified for a multitude of other local cultivars. With this information in hand, Gulino began sneaking through old vineyards and abandoned properties until he found his precious Albanello! From here he was able to replant a few hectares on his site and the rest is history. This tireless work is the reason many like Ian D’Agata claim Gulino to be the true protector of this grape varietal. As previously mentioned Cantine Gulino was founded in 1793 in the Contrada Fanusa, located about 5 miles southwest of Siracusa’s city center. It is known that wine has been made on this property from at least the 1600’s as it documents prove the existence of a Palmento (or winery in Sicilian) and vineyards. 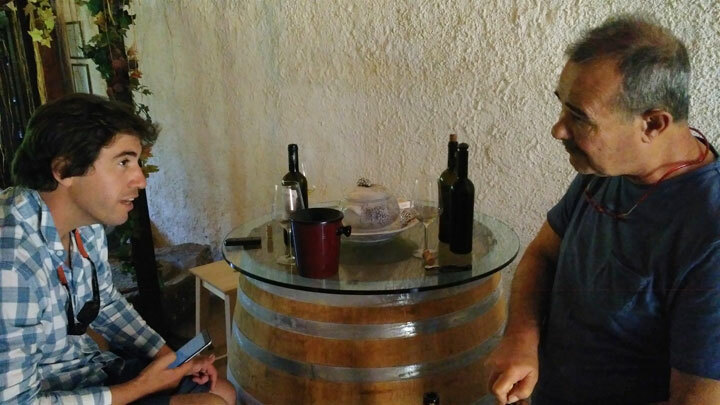 Sebastiano Gulino, a doctor by trade, and his daughter are responsible for the latest incarnation of Cantine Gulino planting primarily Nero D’Avola and Moscato and rebuilding the old Palmento from the 1600’s. Today the family makes wine in the restructured Palmento and hosts events and tastings there as well. 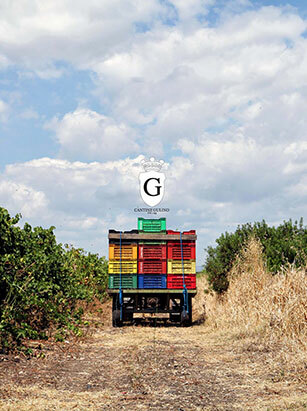 Currently the Gulino family have 18 hectares with plantings of Moscato around the Palmento and holding of Albanello and Nero D’Avola in Noto and Pachino respectively. The soils in Noto are calcareous and very poor soils “white soils” that really cause the Albanello vine to suffer. It is on these soils that Gulino planted 2 hectares of Albanello in 1998. Sebastiano mentions that a major reason for the downfall of the Albanello grape was that too many farmers were growing it on heartier, healthier soil and the vine was producing high acid low character wines. It is also a difficult grape to grow and one that truly needs to suffer to flourish. 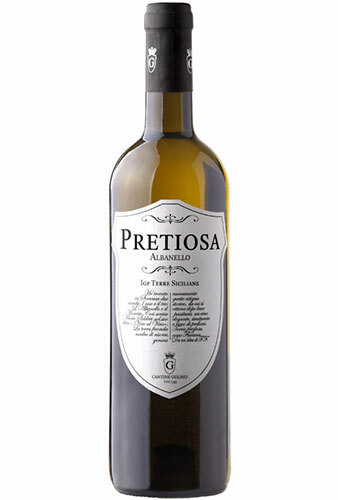 Albanello is crisp and floral, with plenty of stone fruit and almonds, but also plenty of structure. Doctor Gulino believes in the ageability in this wine and I think there is plenty of structure and acidity to warrant that sentiment. I happen really enjoy this wine fresh and think that it is best consumed that way for now. It is worth noting that Gulino has invested in a synthetic cork that limits if not excludes the interaction with oxygen and thus this investment very well may increase the life expectancy of this wine, while avoiding corkage at the same time. This wine has surprising structure and thus can pair with structured seafood and poultry. The grapes are harvested in early September and is late harvested at about 14% alcohol to lower acidity levels. The feeling is that a wine at 12 or 13% with higher acidity would lack aromas. After harvest the wine will get a cold soak at about 16 degrees celcius with a few hours in contact with the skins. This helps give texture to the wine. From here the wine is racked and ages on the fine lees for about 3 months, until the middle of January. It will rest another 3 months in the bottle before release.